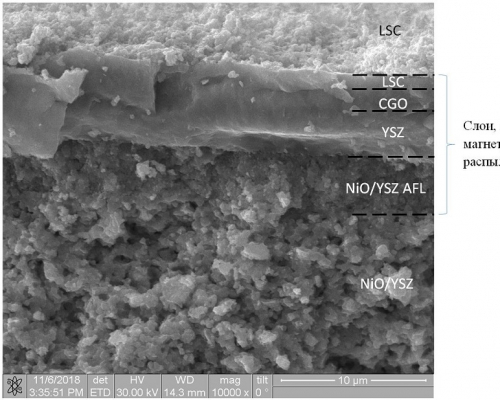 Solid oxide fuel cells (SOFC) based on an anode and thin electrolyte are one of the most promising and developing structures throughout the world. However, they are not produced in Russia. SRF Stepan Linnik from the Research School of High Energy Physics and his team developed ion-plasma methods for thin-film solid oxide fuel cells. The project was supported by the Russian Science Foundation. In Russia SOFCs with a supporting electrolyte layer are the most popular. For many years they have been developed at a number of RAS institutes. However, due to the thick (hundreds of microns) electrolyte, operating temperatures of this structure reach above 850 °C and, hence, it requires the use of expensive materials. ‘By reducing the fuel temperature to below 800 °C the requirements to structural materials are reduced too and the durability and reliability of the device grow. In our project, we manufactured and tested solid oxide fuel cells with a carrier anode, the layers of which are formed by magnetron sputtering in the form of thin films. 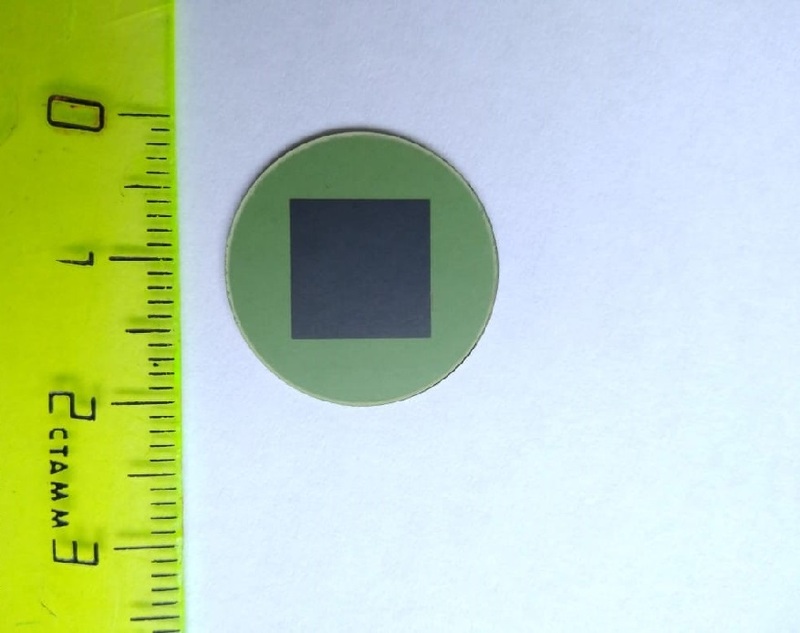 This thin-film technology will allow the creation of fuel cells within one technological cycle. TPU researcher explains that the developed SOFCs will become the basis to manufacture batteries that constitute the main part of autonomous power plants based on electrochemical generators running on natural gas. The power plants can be used in remote areas to supply electricity and heat to residential and industrial facilities where it is not feasible to supply power lines. As well as at cathodic protection stations on oil and gas pipelines which is very important for Russian industry. Stepan Linnik’s research team includes TPU Associate Professor, lab head at the Institute of High Current Electronics of SB RAS Andrei Soloviev, lead engineer Aleksandr Lauk and engineer Egor Smolyansky from the Research School of High energy Physics, researchers from RAS – engineers Igor Ionov and Vyacheslav Semenov, JRF Anna Shipilova, and Mikhail Bubenchikov from Gazprom transgaz Tomsk. Currently, the scientists are working on the creation of semi-industrial samples of SOFC batteries and plan to continue research on this topic. 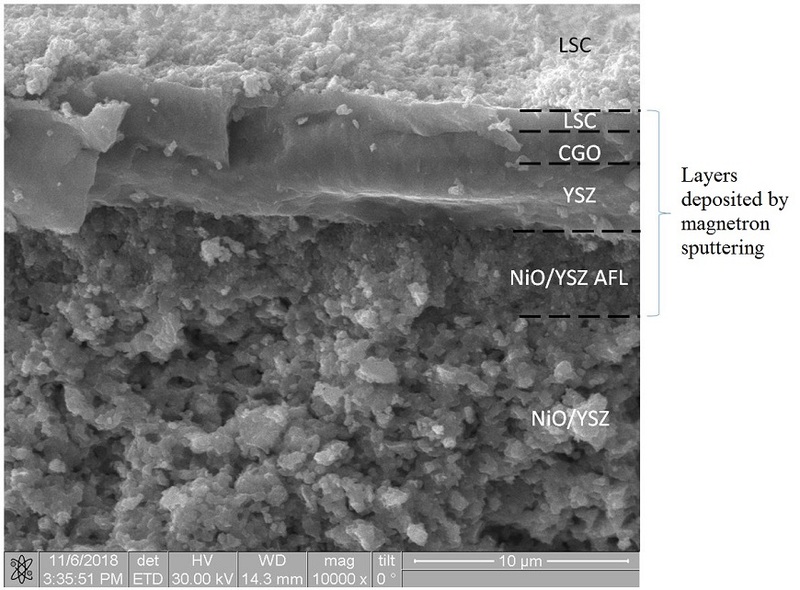 Thin layers of electrolyte and cathode were deposited at the research complex for depositing coatings and surface modification of various materials. Fuel cells sized 50x50 mm and 100x100 mm were also tested at TPU. A study of the electrical characteristics of SOFC cells with a diameter of 20 mm was carried out by voltammetry and impedance spectroscopy on a special stand at the IHCE SB RAS.